Developed by Quickie and Yamaha, the Xtender features motorized rear wheels that increase the force you apply to the handrims by four times! This increases your range of mobility by reducing energy expenditure by as much as 45% and decreasing the burn of fatigue. Research has also shown that the Xtender may help reduce or even prevent the occurrence of secondary injuries to the wrists, elbows, and shoulders including Repetitive Strain Injury. The Xtender’s electronically synchronized rear wheel units continually communicate with each other and adjust their speeds to facilitate smooth, straight propulsion. 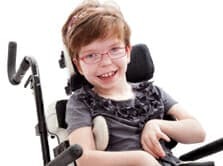 This helps overcome uneven arm strength to further increase propulsion efficiency, which may be particularly beneficial to users with hemiplegia, paraplegia, quadriplegia, or tetraplegia. 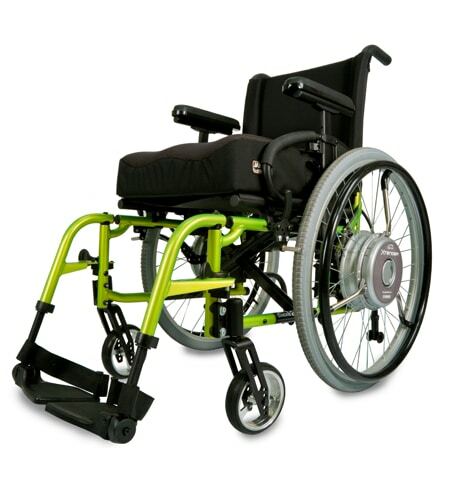 The Xtender’s quick-release wheels allow you to remove the entire motor/wheel assembly from the chair. 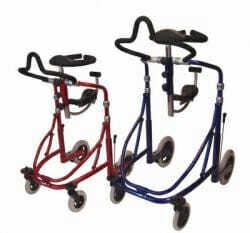 This allows for easy transitions between traditional manual and assisted propulsion. 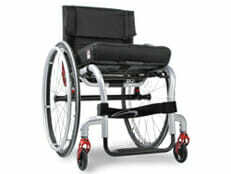 Because the Xtender is used with manual wheelchair frames, it stores and transports just like a manual wheelchair. The user-friendly Xtender features several functions that require zero programming, including Rollback Prevention and Downhill Speed Control. During hill climbs, Rollback Prevention maximizes your efficiency and reduces fatigue. Downhill Speed Control ensures a smooth, safe descent.